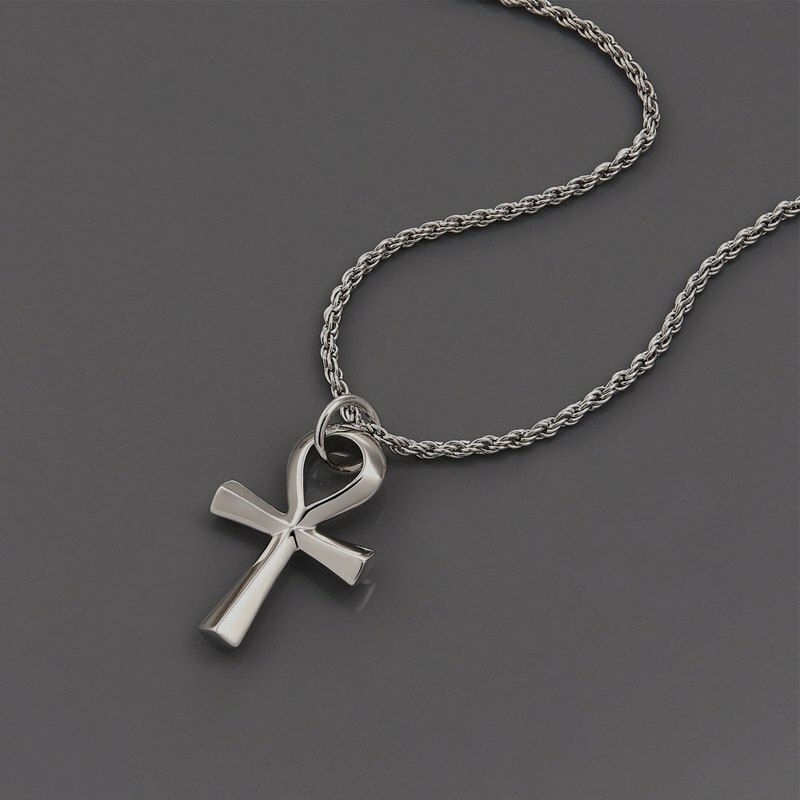 Life Chain Chain Necklace Ankh Chain Necklace Product specifications: Chain length - 75cm Fall length - 5cm X 3cm Material - Brass Price - NT$980 Product desciption: The works are subjected to a secondary polishing process to achieve a mirror effect. Respond to the feedback from friends, use the twist chain I hope that everyone can feel the heart and quality of our work. Ankh is the letter of Egyptian hieroglyphics symbolizing life and eternity People used to pray for eternal health, love, wealth, and nostalgia for the original civilization of the gods. https://3.bp.blogspot.com/-JwxYypa6xLw/WzCmi06GcPI/AAAAAAAACsw/TIetfHCUUHgarjR_EoB9wqSL2QViPd36QCLcBGAs/s1600/%25E5%258C%2585%25E8%25A3%259D.jpg Product bonus: Brand bag / magnetic buckle storage box / wipe square / brand guarantee card https://1.bp.blogspot.com/-9xQbwMfpCSI/WytOxeztsuI/AAAAAAAACsc/xs8Ayb1GkZ4-lb-cY1Y4Z3MmZ022dV2HQCLcBGAs/s1600/%25E4%25BF%259D%25E5%258D%25A1.jpg Product warranty: To promote popular accessory culture and a better online shopping experience Each product has a free modification size and non-human guarantee after sale. Scan the QR CODE on the back of the guarantee card to join the customer service group We will serve you right away (9:00 - 21:00) Groups also do not hold exclusive promotions on a regular basis.